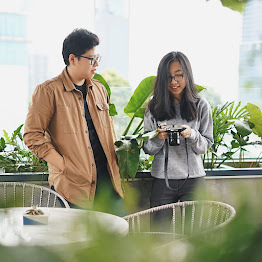 The Hungry Doctor : Indonesian Food and Travel Blogger based in Jakarta: Can Natural Mineral Water reduce your Cardiovascular Risk? Can Natural Mineral Water reduce your Cardiovascular Risk? Hello foodies! In this article I want to share some amazing facts and information of course. Well, I think each of you drink a bottle of mineral water at least once a week, and yes, we all know that water is essential to our survival as over 60% of our body consist of water itself. But have you ever stop to consider what type of water are you drinking? What is the difference between Natural Mineral Water and just plain clean drinking water? These 3 types of drinking water mainly falls as Natural Mineral Water, Spring Water and lastly the plain simple Prepared Water. Out of these 3 types of drinking water, did you know that only Natural Mineral Water contains minerals that have even claims to be beneficial to health (1). Now let’s move our discussion to a seemingly unrelated topic. Do you know what is the most life-threatening disease in the world right now? 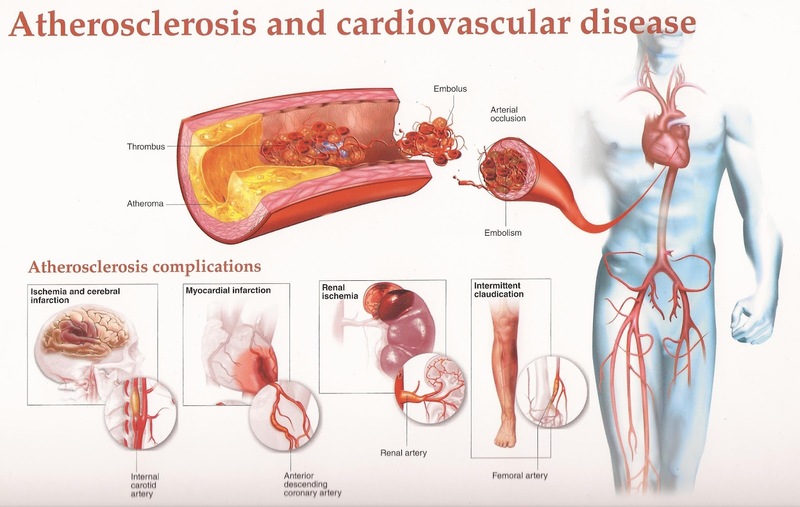 Its cardiovascular disease, or more specifically termed as Coronary Heart Disease. Based on WHO (World Health Organization), cardiovascular disease has been a number one silent killer, with around 2.6 million people dying each year from coronary heart disease. In Asia, the incidence of coronary heart disease has also been steadily increasing. Doctors and scientists believe that over the years, people have changed their eating habits and lifestyle, they become less active, worked harder and longer at their desk, and let’s us admit it, all of us are guilty of living in the sedentary state of life at some point. What we fail to realize is that our lack of movement and accumulative bad eating habits increases the risk of cardiovascular disease. Ask yourself this: Do you mostly have a very low activity? Sit in front of computer in the office for long periods at a time? Frequently ordered food delivery? Long hours of travel or driving from one place to another? Do not regularly exercise? If your answered yes to any of the above, then you properly fall into a state of sedentary life and overtime, these possibly can contribute to increasing your risk of high cholesterol in your later part of life. So how bad is too much cholesterol to our heart? Build up cholesterol in our blood vessels can cause atherosclerosis, the fat deposit in the blood vessels and can blocked the blood flow, and our heart has to work harder to pump the blood to circulate to our entire body. This extra work that your heart has to do, can sometimes even cause physical chest pain and in certain worse cases, not having enough blood to circulate into our important organs can lead to cellular death within our body. That is why reducing your cholesterol level, especially LDL (low density lipoprotein) can reduce your cardiovascular disease risk. So my readers, you may ask, what does Natural Mineral Water and heart disease have in common? More than we know, apparently. Do you know there were actually scientific evidence that drinking mineral water high in natural minerals can have many health benefits, and has been clearly be shown in clinically. Clinical trials using different brands of Natural Mineral Water has been going on for years in Europe, and people over there assumed that these health benefits of Natural Mineral Water is a given. But we here in Asia, are far from being educated from the natural health benefits of the humble Natural Mineral Water. In fact, it was only recently that in Singapore and Indonesia (Jakarta), that 2 doctors led their clinical trials to investigate whether Natural Mineral Water that were high in minerals (ARDESY, Natural Mineral Sparkling Water ), can potentially reduce cholesterol in the blood in patients suffering from high cholesterol (2). During my discussion with dr. Lysia Gressida, she observed that drinking 1L ARDESY, Natural Mineral Sparkling Water everyday for a month could statistically reduce total cholesterol and LDL levels in the blood of the high cholesterol patients (2). What is amazing is that the same study is repeated in a Singapore hospital and similar results were also observed, suggesting that regular drinking of ARDESY, Natural Mineral Sparkling Water can reduce total cholesterol and LDL in the blood! 2 clinical trials in 2 different countries, but the same amazing results! So, what is so good about this particular Natural Mineral Water brand? ARDESY Natural Sparkling Water, is pristinely pure and comes from the French Alps in Auvergne, France (3). The water itself comes from deep within the French volcanos, which contains very high natural minerals and has natural carbonation, meaning, unlike other sparkling water that pumped artificially infused carbon dioxide gas into the water, ARDESY, Natural Mineral Sparkling Water naturally contains high level of bicarbonate and is naturally carbonated (3). In fact, I have been told that ARDESY, Natural Mineral Sparkling Water contains one of the highest level of bicarbonate than other imported natural mineral water brands in the Asian markets to date. Furthermore, the doctors believe that it is this high level of bicarbonate, as well as other high level of natural minerals such as calcium, magnesium, silica, sodium etc (3) within ARDESY water was what contributed to the health benefits in lowering cholesterol naturally (2). So readers, being a skeptic myself, I took on the Good for your heart, ARDESY challenge, and guess what? I've been drinking ARDESY Natural Sparkling Water for a month and YES! my blood cholesterol level reduced from 142 before I drank ARDESY to a lower level of 128! Maybe clinically it's not that much but I genuinely feel healthier, no more headache, no more insomnia and I do everything with better concentration. Personally, I feel my blood pressure is now more stable and it’s a number that I can be happy and live with. It also gives me better motivation now to keep up a better lifestyle for myself. I'm going to motivate myself to exercise more and eat more healthy food, as I can see now that a little change can really make a difference to my health.